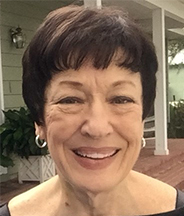 Janet W. Behnke has practiced law in Ocala more than forty years, during which time she has served clients in almost every area of civil law. She currently limits her practice primarily to family law, wills and probate, and real property litigation. She is a former Marion County judge, a former president of the Ocala Marion County Chamber of Commerce and a former president of the Marion County Bar Association. Ms. Behnke understands that each client and each situation is unique. She listens carefully to her clients' goals and concerns. Her years of experience particularly qualify her to evaluate the strengths and weaknesses of each case and to zealously represent her clients' interests. To learn more about Janet W. Behnke, follow the attorney profile link below. To learn more please complete an online contact form or call 352-732-6464.